Sure, everyone and their grandma is writing a “Spring” post today, but I can’t resist. This is what we’ve been waiting for, through the cold, snowy winter! Matthew took a vacation day today, so that he can spend both today and tomorrow in the garden. (Unfortunately, his productivity may be limited by a respiratory virus he seems to have picked up.) There are potatoes to plant (just a wee bit later than past years) and onions and leeks to get in the ground. 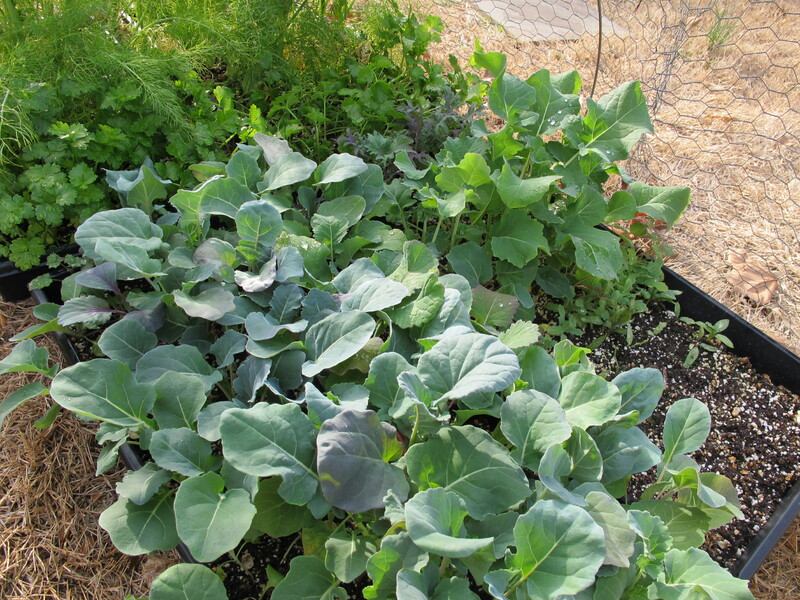 He’s going to hold off on the fennel and cruciferous, since there is still more cold in our forecast. 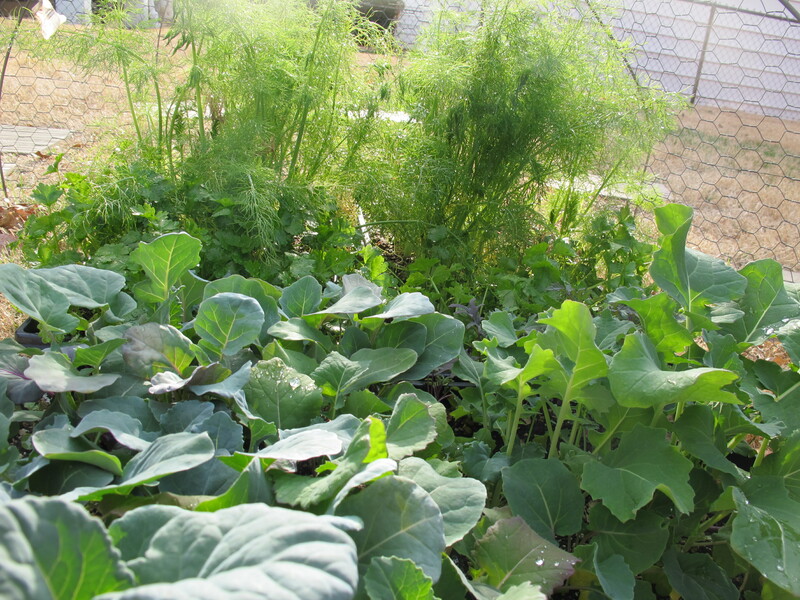 Those seedlings are hanging out here with me, in a temporary chicken-wire cage to protect them from voracious rabbits. Realistically, even with two days at the garden, he probably wouldn’t have time to get these in the ground this weekend anyway, so it’s not the end of the world. We’ll bring them back in under the grow lights for the cold nights. As of two weekends ago, we pretty much finalized everything for our bike, including picking out handlebars and tires. When I posted a couple of weeks ago, a reader and bike shop owner informed me that the Yepp Maxi Standard was not the seat that was compatible with the Xtracycle Edgerunner. Bummer, because I’m not sure that my original EBay purchase is returnable, but better to find out when we were still waiting on the bike and had time to get the correct seat (still trying to sell the blue standard seat on Craigslist, and hoping the spring weather will generate more interest). 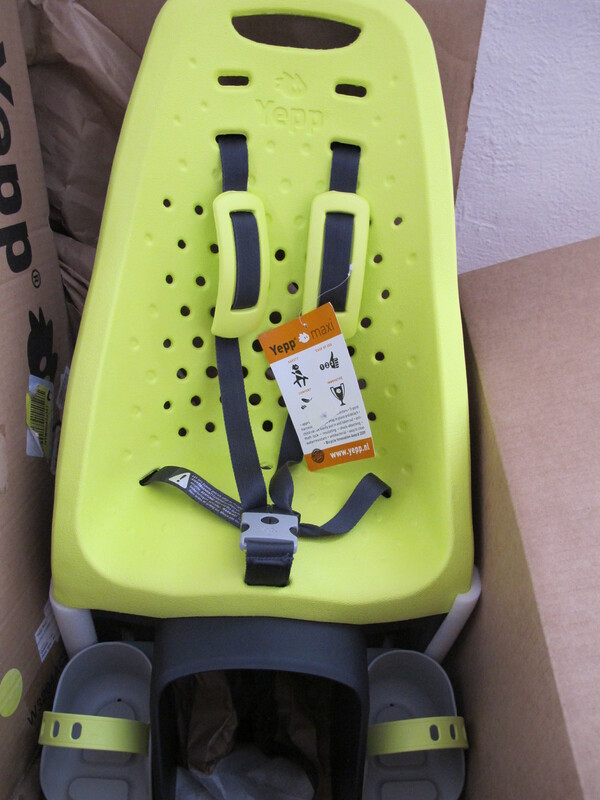 Our Yepp Maxi Easyfit arrived on Wednesday, so we now have the correct seat to go on our bike. We decided the lime-colored seat was our top choice, and I managed to find a used one on Amazon, which I wasn’t expecting! I would call it more of “safety yellow” than “lime green” — it’s not a bad color, but definitely not my favorite. It will certainly be visible, which is something. Also, it will be behind me on the bike, so I won’t really have to look at it all that much! Now all we need is the bike — fingers crossed for no more delays! This entry was posted in Biking, Garden. Bookmark the permalink.